I’ve gotten so many requests in blog comments, emails and on social media to share my favorite recipes, and I’m excited to say that I listened! I asked three awesome women (all bestselling authors, wellness warriors and amazing cooks) to share one of their favorite sugar-free desserts for the holidays. These treats will rock your world! Candice Kumai shared her matcha chocolate chip cookies, Sarah Wilson shared her Christmas berry swirl cheesecake and Kris Carr gave us her cinnamon banana ice cream. I also shared one of my Instagram hits … my berry crumble! 1. Preheat oven to 350° F and lightly grease a pan with coconut oil. 2. Spread the berries across the pan. 3. Sprinkle flour over berries. 4. Sprinkle sweetener of your choice. 5. Top with gluten-free oats. 6. Drizzle with butter or coconut oil. 7. Bake at 350° F for 1 hour until the oats begin to brown. Candice is the golden girl of the wellness world! She based these super moist and delicious cookies on the most popular cookie recipe from her first book, Pretty Delicious. They taste even better the next day! 2. In a medium bowl, whisk the gluten-free flour, baking powder and salt together. Set aside. 3. In a large baking bowl, add unrefined coconut oil, vanilla and sugar (or stevia if making sugar-free), whisk well to combine. Use a rubber spatula to scrape the sides and bottom of the bowl as necessary. Mix in the mashed banana, whisking until well incorporated. 4. Add the dry ingredients to the wet, and whisk until they’re combined. Using a rubber spatula, fold in the oats and chocolate chips. 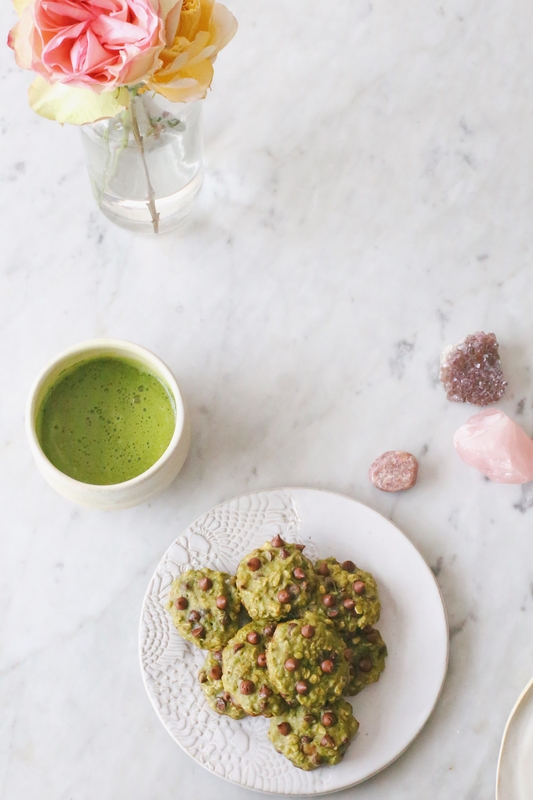 Sprinkle in your sifted matcha powder and fold into cookie dough using a rubber spatula. 5. Chill the cookie dough in the refrigerator for 15 minutes. 6. Line a rimmed baking sheet with aluminum foil and coat lightly with nonstick cooking spray. Use a tablespoon to scoop out 1½-inch dough balls, placing them about 1 inch apart on the baking sheet. 7. Bake until slightly golden on top, about 10-13 minutes. 8. Cool on the sheet for 5 minutes before transferring the cookies to a wire rack to cool completely. When you want to seriously impress with your baking skills, this cheesecake will blow away everyone at the table! The dense, creamy filling, nutty base and beautiful berry swirl on top make it a total crowd-pleaser! This recipe is from Sarah’s I Quit Sugar Christmas Cookbook. 1. Preheat the oven to 160°C/325°F/Gas Mark 3 and line the sides and base of a 23 cm (9-inch) springform pan with parchment paper. 2. To make the cheesecake base, grind the nuts in a food processor until semi-fine. Add the coconut, almond meal and butter and rub with your fingers to make a dough. The more you rub, the more you’ll release the oils in the nuts and achieve the right doughy consistency. Add more butter if required. Press into the tin, covering the base and sides to an even thickness (about 5 mm or <¼ inch). Bake 5-8 minutes until starting to turn golden. Remove from the oven and allow to cool completely in the tin. 3. Meanwhile, place raspberries in a blender and slowly drizzle in enough water to make a puree. Transfer to a small saucepan and stir over medium heat until raspberries thicken to a syrup-like consistency. Allow to cool. Combine the cream cheese, yogurt, coconut cream, syrup, egg and vanilla powder in a large bowl using a wooden spoon. Don’t over-mix, and try to keep the aeration to a minimum while stirring (too much air will make the filling puff up and then collapse during cooking). 4. Spoon half the mixture into the cold base and smooth surface. Dot teaspoons of raspberry sauce over cheesecake surface. Using a skewer, swirl raspberry over cheesecake surface. Pour remaining cream cheese mixture over and smooth surface. Return to the oven for 20 to 30 minutes or until the mixture pulls away from the base a little and the center is custard-like (don’t overcook). 5. Place in the fridge for at least 2 hours to firm before serving. 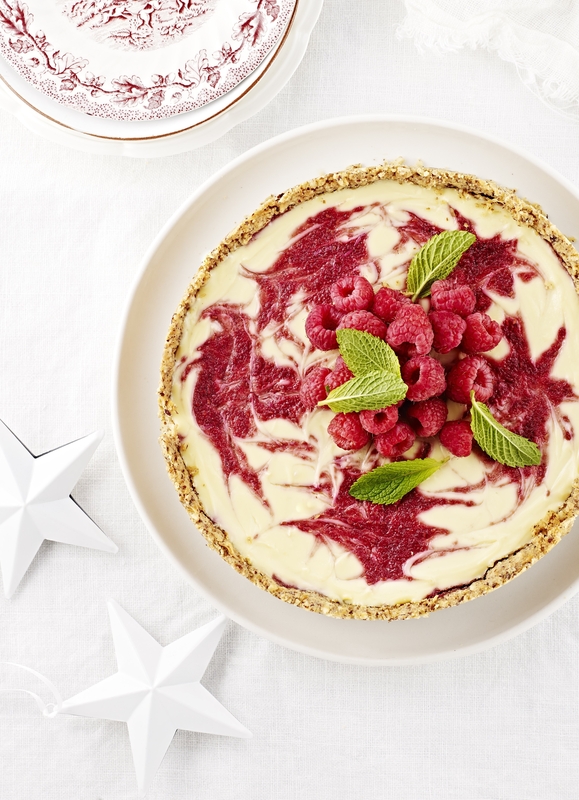 Decorate with extra raspberries and mint leaves. Be sure to allow the cheesecake to cool for several hours before serving; otherwise, it can taste too eggy. This simple, ultra-healthy dessert from my dear friend and green-drink guru Kris Carr is perfect to whip up in a blender or food processor anytime! If you’ve never had banana ice cream, you’ll flip out about how creamy it is. I love how the cinnamon gives it a warm holiday touch. 1. Put all ingredients in your work area. 2. 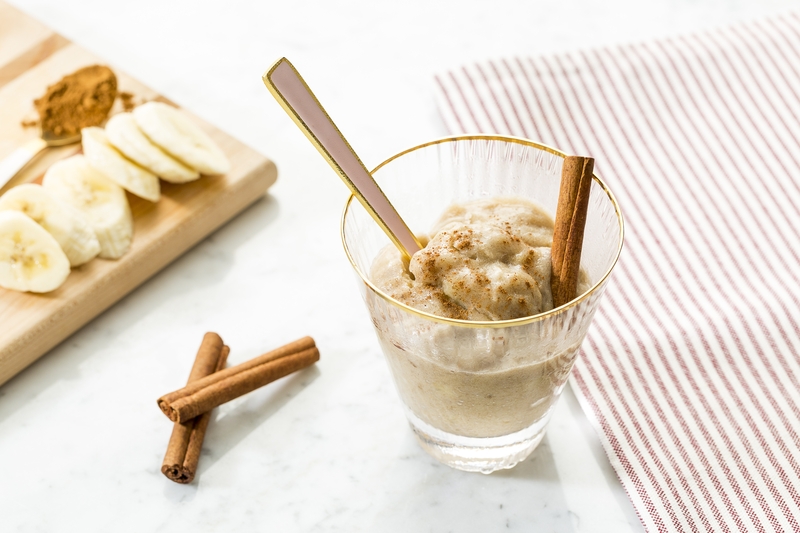 In a high-speed blender or food processor, blend frozen banana chunks, vanilla extract and cinnamon on low until smooth. Enjoy immediately. Spirit Junkies, what do you think of these sugar-free dessert recipes? Let me know in the comments, and share your own favorite holiday treat! Thank you for these Gabby! Definitely going to give them a whirl! Thank you for sharing I was waiting for this post!! I do have a question, could I replace the gluten free flour for almond flower instead when making the matcha chocolate chip cookies? You likely can, but I recommend Googling around about substituting almond flour. It has a higher fat content than other flours, so it’s not usually a 1:1 substitution. Been waiting for this. Thank you!!! Yum! 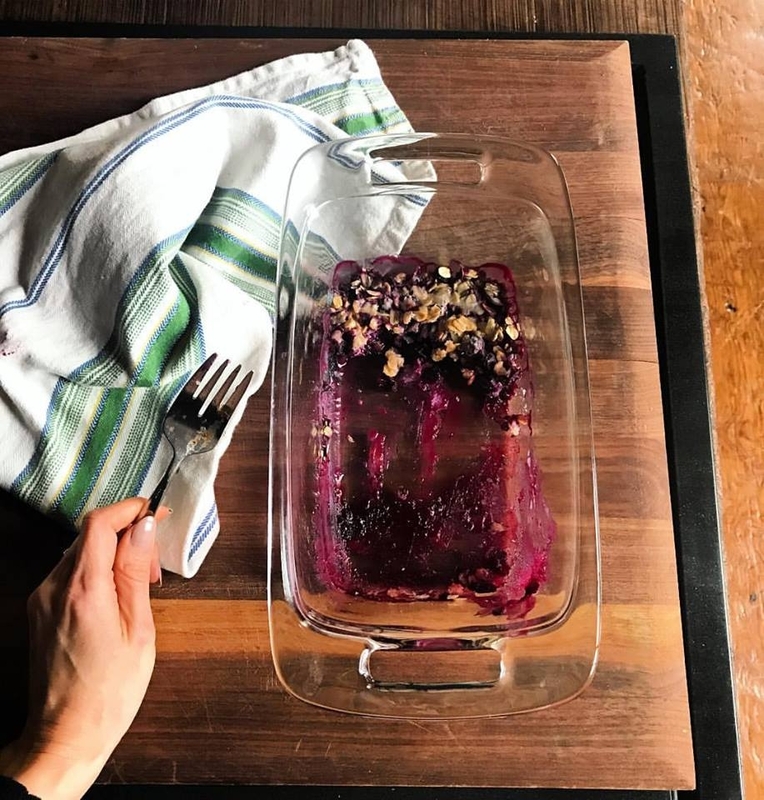 Thank you for the Sugar Free Crumble recipe – the way you put everything together on your IG stories looks so easy while the recipe I have takes time. I’ll throw one together soon! I will be trying both yours and Kris’s recipes! I am always looking for more healthy (and simple!) ideas!! I have a question on your berry crumble – can you use frozen berries? I know in some recipes using frozen can make it watery and fresh berries can be better – let me know! Thank you Gabby! I definitely have been working on a sugar-detox and these will help me succeed! The matcha cookies were incredible! We ate the whole batch within minutes! I made the banana ice cream but started w/ ripe room temp bananas and subbed Almond extract for vanilla (i was out ) and THEN I froze it and it was awesome. Thanks for these awesome recipes Gabby! I embarked on a major overhaul this year and have been 32 days totally fruit and sugar free. I feel amazing but with the holidays approaching I am in need of some yummy treats that will keep me feeling great. Perfect timing. Also, I just finished your book “The Universe Has My Back” and I LOVED it. The lessons, the stories and exercises have helped me soooo much. Thank you, thank you. I’ve recently found I have an intolerance to yeast including Candida. I’ve hear banana is best avoided and did hear you mention it in your video but see it is included in some recipes. Do you have to cut it out just for detox period and can then reintroduce or is it ok in small amounts? This is all new to me and really know I need to need the change as my health isn’t great at all and I suffer pain and tiredness as well as other elements daily and this enlughtenment to my yeast intolerance would explain alot and hope it helps. My 2017 Holiday Gift Guide!